- Offline dictionaries with tons of words available. The database will be updated regularly to make it even better. - Online translation when you need to translate a sentence. 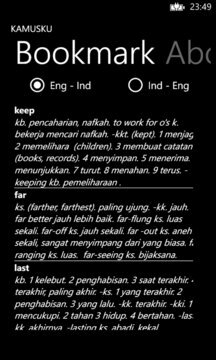 - Words bookmark to marks your favorite words.